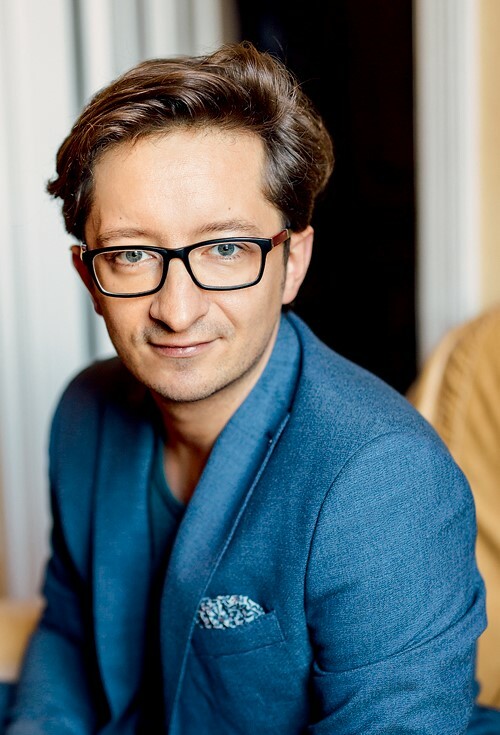 Artistic Director of the International Baltic Sea Choir Competition Janis Ozols (1980) is one of the well-recognized and promising new conductors in Latvia and is also known as one of the former vocal group “Cosmos” singers. Janis started to obtain his musical education in Emils Darzins Music School, later continuing it in Riga Cathedral Choir School’s class of choir conducting. He acquired a bachelor’s degree in Jazeps Vitols Latvian Academy of Music also in the class of choir conducting with the professor Sigvards Klava and a master’s degree in choir conducting was supported by professor Janis Zirnis. During 2013 and 2014 Janis Ozols studied symphony orchestra conducting in Royal College of Music, Stockholm. While being the baritone singer of the vocal a cappella group “Cosmos”, Janis has worked along with world known musicians. This includes master classes and concerts with Bobby McFerrin, “The Real Group”, “Take 6”, “The Manhattan Transfer”, “The Hilliard Ensemble”, “The New York Voices” and the Icelandic music icon Björk. “Cosmos” were the winners of contest New Wave in 2004. They have attained several prestige prizes and awards through different contests and events including the Great Latvian Music Award in 2009. Besides singing in “Cosmos” Janis has proven him as one of the most talented Latvian conductors. He has reached notable achievements and won many prizes in Latvia and abroad. Janis is conducting choir “Maska” which he established in 2000 and that is now one of the best amateur choirs in Latvia. Janis has also proven his talent by taking the honourable 3rd place in the International Conductor Contest of Jazeps Vitols in 2009 as well as by attaining the unique and unprecedented prize of “The Best Young Conductor” in the 49th International Choir Singing Contest “Seghizzi” in Italy for which he was invited to take part in the jury in 2011. Janis takes active role in the field of academic music in Latvia, being the conductor and artistic director of several choirs and the head conductor of Riga region choirs of the XXV Latvian Song festival. Janis does not stop at the achieved and constantly keeps developing himself. His musical view and interpretation often differs from the usual. Being open to creative innovations and musical experiments is what highlights him among other conductors and helps in fulfilling his own ideas which are highly appreciated both by music professionals and lovers.